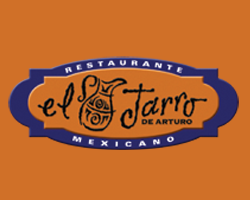 Opened in 1975, El Jarro de Arturo takes pride in operating a truly fine family restaurant. Our dishes are prepared using only the finest and freshest ingredients available, including low cholesterol canola and olive oils for your enjoyment and health. Because of this added care, this San Antonio institution has been recognized by Bon Appetit Magazine and Who’s Who Among America’s Best Restaurants. You could say that Arturo and Sandy Cerna were born to be restaurateurs. “It’s in our blood,” Sandy laughs. Her father owned several Mexican restaurants and she worked alongside him throughout college. Arturo got his first restaurant job washing dishes at age 11. Today, you can find them both at the San Pedro location managing the lunch and dinner crowds as well as overseeing their thriving catering division, which they began in 1984. As a married couple, they have also found success working together by setting up clearly marked boundaries. Sandy’s domain is the front of the house and Arturo’s is the kitchen. Arturo and Sandy CernaIn the spring of 2005, we added an eye-catching neon sign and a beautiful outdoor dining patio. With comfortable seating, lush greenery and artistic sail canopies, the patio offers a relaxing atmosphere to sip on a cool cocktail in the summertime or warm up with one of El Jarro’s delicious platters in the cooler seasons. In fact, you can enjoy either any season of the year because the patio offers outdoor cooling and heating. Click here to see a gallery of our patio. Arturo and Sandy Cerna welcome you to El Jarro, which means Jug, as in a jug full of delicious Margaritas, or maybe Frijoles a la Charra, or a jug full of joy when you experience El Jarro!